Dirt and stains easily removed. Ideal for cleaning glass, motor car, vehicles, etc. (1) Rinse well before first use. (2) Always keep JDA CLOTH slightly wet in this case. 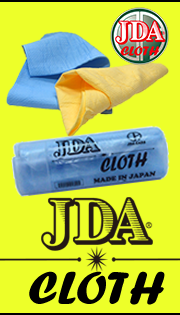 (3) Whenever JDA CLOTH gets dried up and becomes hard,soak it in water. (4) After use wash JDA CLOTH with soap. 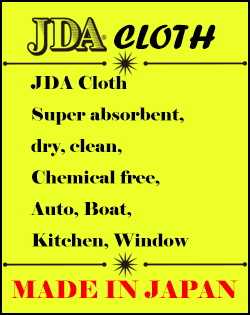 copyright© 2015 JDA CLOTH JAPAN all rights reserved.